Thank you to all who braved the cold and joined us for our annual pancake breakfast fundraiser last Sunday to celebrate the start of Catholic Schools Week. It was wonderful to gather as a Parish community for some delicious food and fellowship and your support of the Pack is greatly appreciated. We hope to see you again next year! 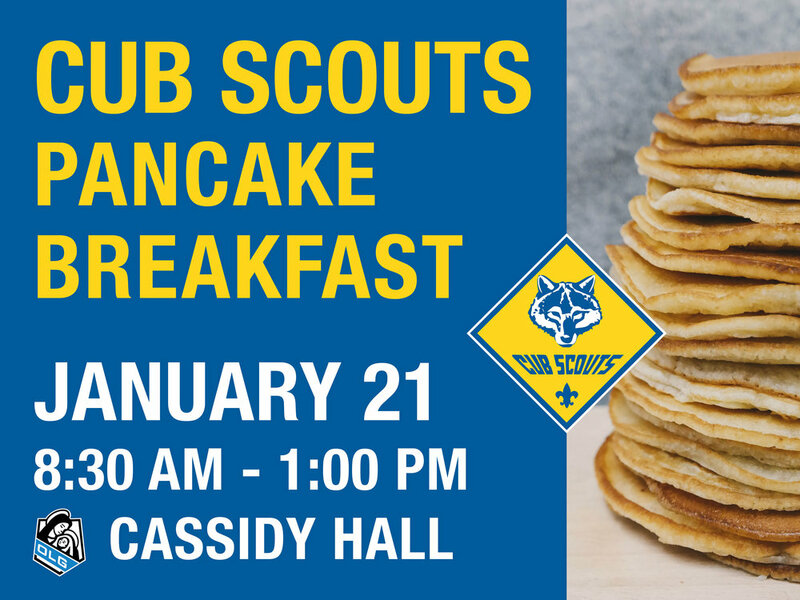 Please join us for the annual OLG Pack 102 Cub Scout pancake breakfast fundraiser to celebrate the start of Catholic Schools Week. Tickets are $6. There will be plenty of delicious pancakes, great coffee, orange juice and butcher-cut bacon. Do you have a 5th grader or middle school boy interested in scouting? Please join Boy Scout Troop 102 as Troop leaders share a presentation of the scouting program and answer questions you may have about Boy Scouts. Tickets can be purchased the day of the event for $8. Donations welcome if you can’t attend. There will be plenty of delicious pancakes, great coﬀee, orange juice and butcher cut bacon. This is our one fundraiser of the year for Cub Scouts and critical for the program. Thank you for your support. Does your son want to be a Cub Scout this year? Come join us September 22nd for the Cub Scouts New Family Info & Sign-up Night!